The Firstlight Century single light ceiling pendant has a modern style with a matt white finish. 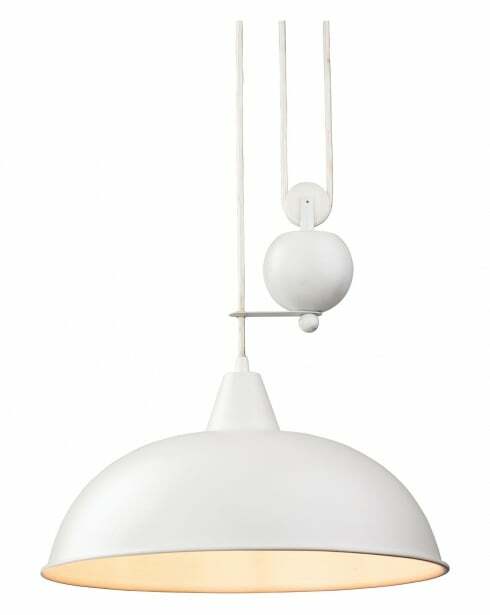 The Century 2309WH ceiling light has a metal body and is completed with a matt white metal shade. The Firstlight Century ceiling pendant has a height of 20cm and a diameter of 38cm. The cable/chain length is approximately 198cm, but this can be adjusted at the time of installation. The 2309WH takes a single 60W bulb (not included) or equivalent energy saving bulb. Replacement bulbs are available in our Accessories department.